(Updated at 12:22 a.m.) Arlington County is set to celebrate the opening of a new section of the Washington Blvd Bike Trail today (Nov. 30). 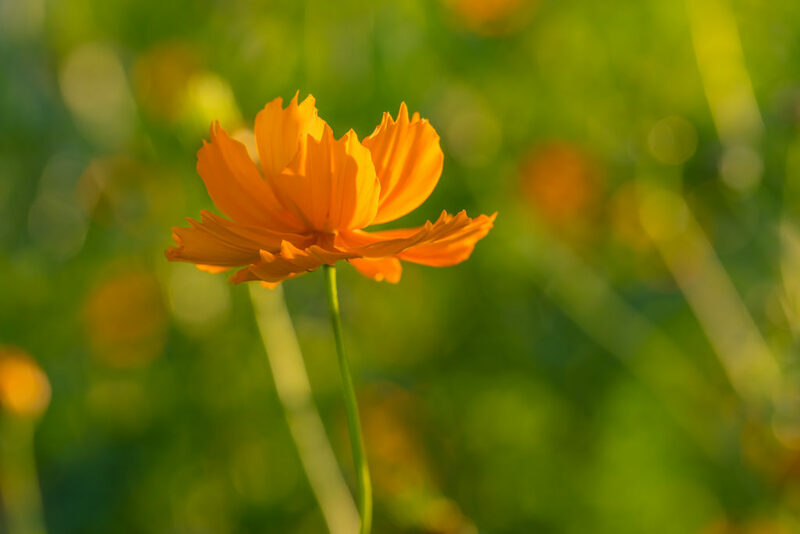 The event will take place from 1 p.m. to 2 p.m. along the new bike trail on the east side of Towers Park (801 S. Scott Street). Capital Bikeshare bikes will be available for attendees to try out the trail after remarks from the speakers. Construction on the trail began in January. Work zipped along over the last few months to complete it before the end of fall. The new 10-foot-wide trail runs between Towers Park and 2nd Street S. in Penrose, to provide more seamless access for cyclists and pedestrians to a previously constructed trail between Arlington Blvd and Walter Reed Drive. 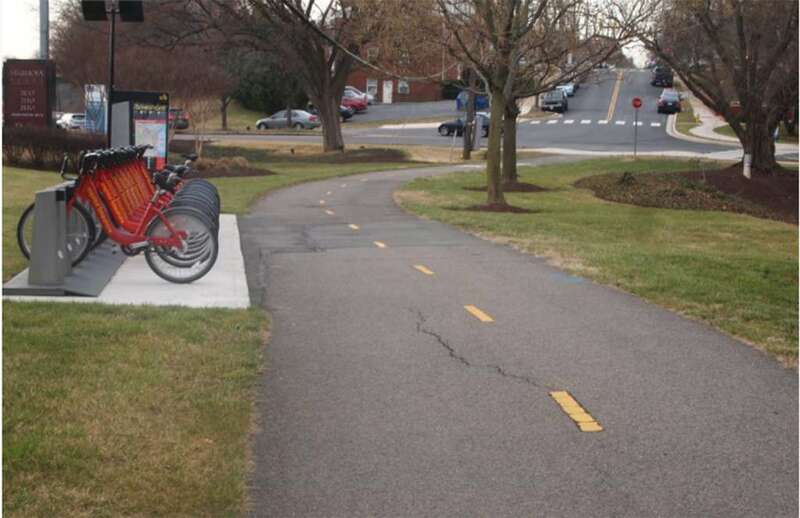 Washington Boulevard Trail offers a new N/S connection for folks walking & biking between Arlington Boulevard and Walter Reed Drive. Come celebrate with us on Nov 30 from 1-2 pm! Metro’s dire warnings about the impacts of track work in the latter half of this month seem to have effectively pushed Arlington commuters onto local bus routes instead — though bike share services didn’t see a similar ridership boost. With the rail service’s major rebuilding work on the Silver, Orange and Blue lines fading in the rearview, Arlington transportation officials say their data show that both Metrobus and Arlington Transit ridership saw substantial jumps during the construction from Aug. 11 through Aug. 26. Metro itself recorded an 11 percent dip in ridership over that period when compared to figures from 2017, largely attributable to WMATA’s persistent urging that commuters only use rail service if they had “no other option” for the two-week period. And in Arlington, at least, it seems that commuters weren’t shy about turning to bus options instead. The Metrobus 3Y line, which runs from stops along Lee Highway to D.C.’s Farragut Square, recorded the biggest ridership surge, according to county transportation spokesman Eric Balliet. He says the county’s initial data show a 97 percent increase in average weekday ridership compared to the weeks prior to the track work starting, shooting from an average of 413 riders each day to 815. He added that Metrobus’ 38B line, running from Ballston to Farragut Square, recorded a 38 percent increase, with average daily ridership jumping from 3,001 people to 4,136. Balliet noted that the county requested that Metro provide additional service along those lines, as they run along the Orange and Silver stops most likely to be affected by the track work. 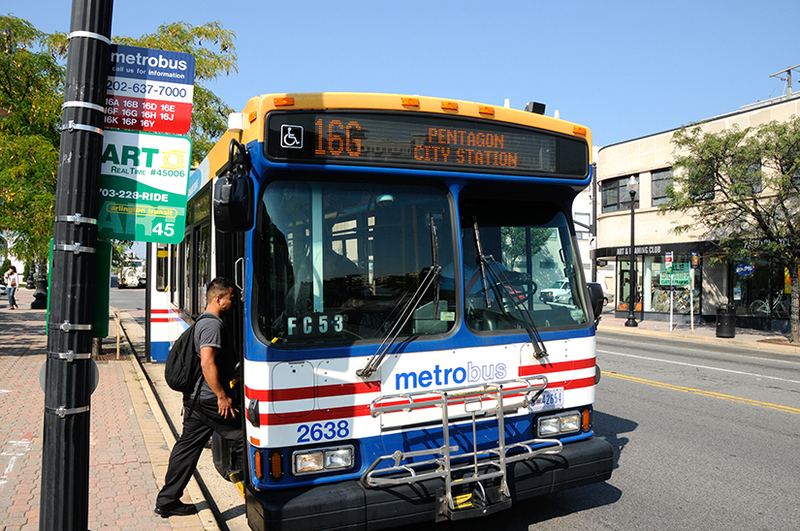 As for ART buses, Balliet says the 43 route (running between the Crystal City, Rosslyn and Courthouse Metro stations) recorded a 67 percent increase in average weekday riders compared to a year ago. Last August, the bus service saw an average of 1,022 people on those buses each day; this year, it jumped up to 1,706. Similarly, he said the 42 line between Ballston and the Pentagon saw a 16 percent jump, from last year’s 1,068 riders per day to 1,241. He attributes those changes to the fact those ART lines “parallel the segment of the Blue Line that was closed during the track work.” Metro shut down service on the line between the Arlington National Cemetery stop and the line’s New Carrollton terminus. Jim Larsen, the county’s commuter services bureau chief, pointed out that those numbers amounted to increases of anywhere from 599 to 1,000 riders each day between the two bus services. “Now, if we can only keep them,” Larsen said. A spokesman for the dockless electric scooter company Bird says the firm also saw “ridership grow consistently this summer as commuters sought new options to avoid delays on multiple lines,” but didn’t provide specific numbers. The track work did not produce a similar ridership bump for bike-sharing in the county, however. 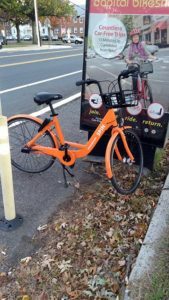 Compared to the same two-week period a year ago, the number of Capital Bikeshare trips originating in Arlington was “virtually the same, though down just a smidge,” according to Bike Arlington Director Henry Dunbar. In all, the county’s stations recorded about 17,041 trips during the track work. From Aug. 12-27, 2017 the county saw 17,180 trips, Dunbar said. Spokespeople for the ride-sharing companies Uber and Lyft did not respond to requests for comment on any ridership changes they observed during the track work. Anecdotally, it would seem that the Metro construction inspired some commuters to turn to their cars rather than transit options. For instance, some ARLnow commenters mentioned hefty backups on the Key Bridge and 14th Street Bridge to make it into D.C. in the first place. In all, 73 percent of the more than 1,400 respondents to an (admittedly unscientific) ARLnow poll on the issue said the Metro track work affected their commutes in some way. Metro was even scheduled to do a bit more work on the Silver, Orange and Blue lines this weekend, prompting single-tracking through Rosslyn. However, it announced today (Thursday) it’d be abandoning those plans. 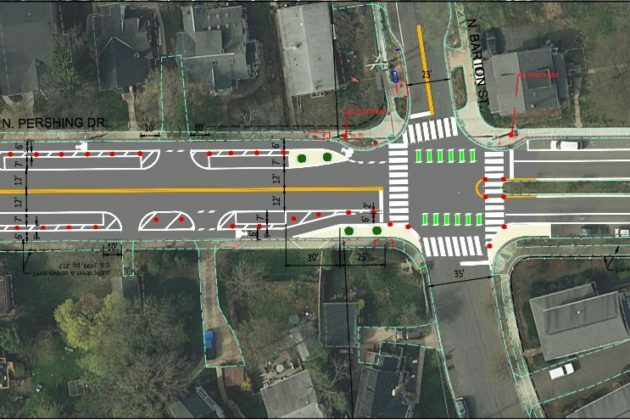 Arlington is gearing up to test some protected bike lanes and pedestrian safety features along a heavily trafficked stretch of N. Pershing Drive in Lyon Park. 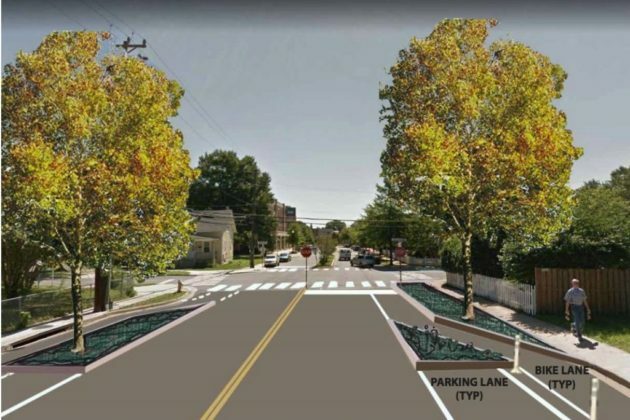 The county plans to install the new “safety and accessibility improvements” on the road between Washington Blvd and N. Barton Street in the coming weeks, as part of some previously scheduled summer paving work in the area. Mainly, the construction will focus on adding protected bike lanes alongside some new landscaping designed to better separate cars from pedestrians. Transportation planners have been studying the road for potential improvements since last summer, over concerns that Pershing can be challenging for cyclists and pedestrians alike along the road as it leads up to Route 50. While the county hopes to eventually make the changes permanent, Arlington’s gloomy financial picture means that officials will merely be testing out the new features over the next few years as “a cost-effective opportunity to implement improvements early,” according to the county’s website. Workers also plan to relocate the Capital Bikeshare station in the area once the paving work gets going. 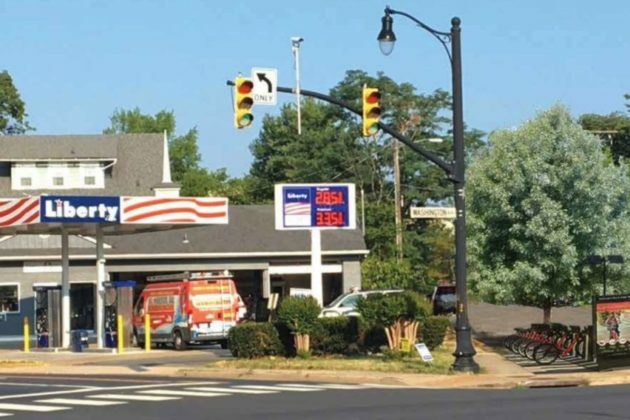 The station currently sits along 7th Street N., but the county is planning to move it up the block a bit to where the road intersects with Washington Blvd, adjacent to a gas station in the area. Someday, the county plans to add pedestrian safety and bus stop accessibility improvements at intersections all along Pershing as it runs to meet N. Glebe Road. However, those projects are on hold until the county can come up with a bit more funding. Commuters looking to learn more about local transportation options can swing by a block party along Columbia Pike tomorrow night (Tuesday). Arlington Transportation Partners is hosting its second “Our Shared Street Pop-Up” event on a closed street at the intersection of S. Oakland Street and Columbia Pike, just across from the Oakland Apartments. 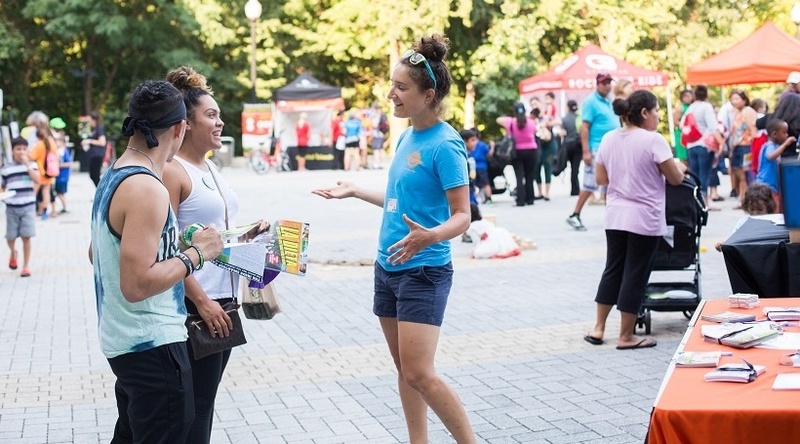 The event is designed to connect people to county transportation resources like Walk Arlington and Bike Arlington, in addition to a host of private options as well. 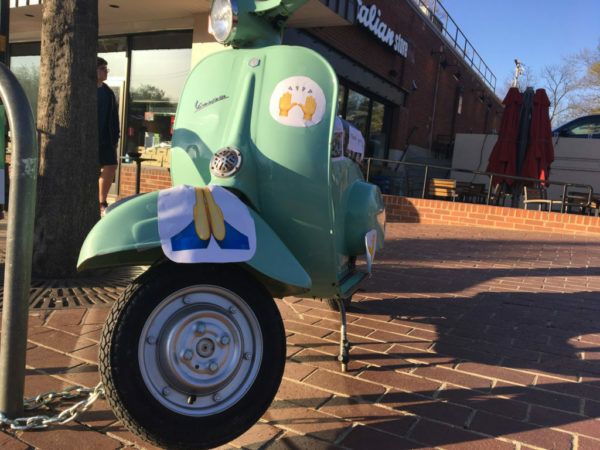 Notably, this year’s gathering will feature dockless electric scooter companies Bird and Lime — the former has already started operating in Arlington, while the latter is very much eyeing the county for expansion. Lime will also be offering its dockless bikes for riders to try, and Capital Bikeshare will be on hand as well to show off its wares to potential customers. The event will also feature games, giveaways and free food from local restaurants. The party will start at 5 p.m. Tuesday night, and the county has a list of frequently asked questions about the event on its website. Arlington may get two new Capital Bikeshare stations, at Roosevelt Island and Gravelly Point. The County Board is set to approve a “memorandum of understanding” with the National Park Service, which has to approve the bikeshare stations since they would be located on NPS land. The approval would further the goal of an expansion of the bikeshare network along the Mt. Vernon Trail. Responsibility for the installation and maintenance of the bikeshare facilities on NPS land would fall on the county, according to the memorandum. It also restricts any advertisements on the stations, and sets requirements for site preservation and, should the stations be removed in the future, restoration. The office of the County Manager has recommended that the memorandum be approved at Saturday’s County Board meeting (April 21). 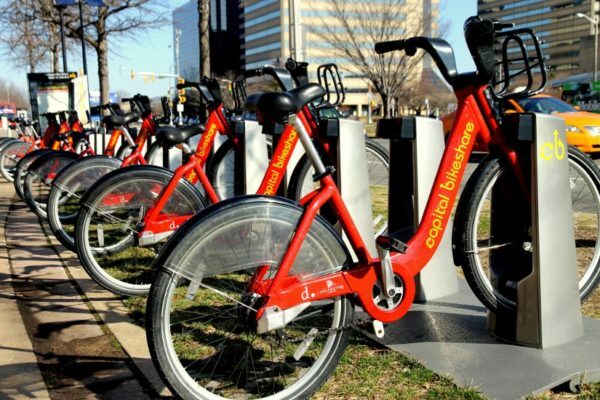 Currently there are about 440 stations and 3,700 Capital Bikeshare bikes in the region. 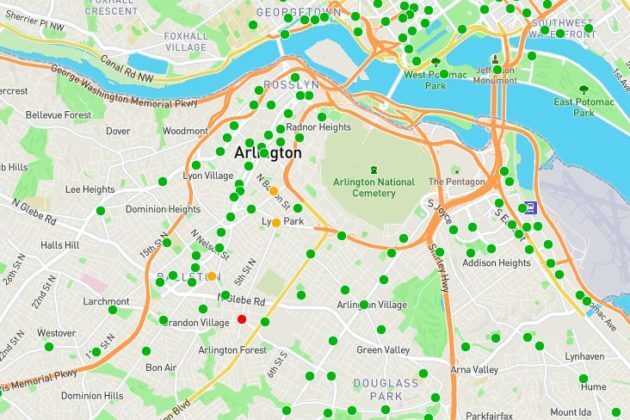 As of 2017, 85 Bikeshare stations were in Arlington. The influx of app-based alternatives to Capital Bikeshare appears to have reached Arlington County. A reader sent in the above photo of a Spin Bikeshare bike parked near a Capital Bikeshare station in Arlington. Spin is one of four new alternatives in the D.C. metro area. Spin requires you to download a smartphone app, and uses your phone’s GPS to locate a nearby bike to use. 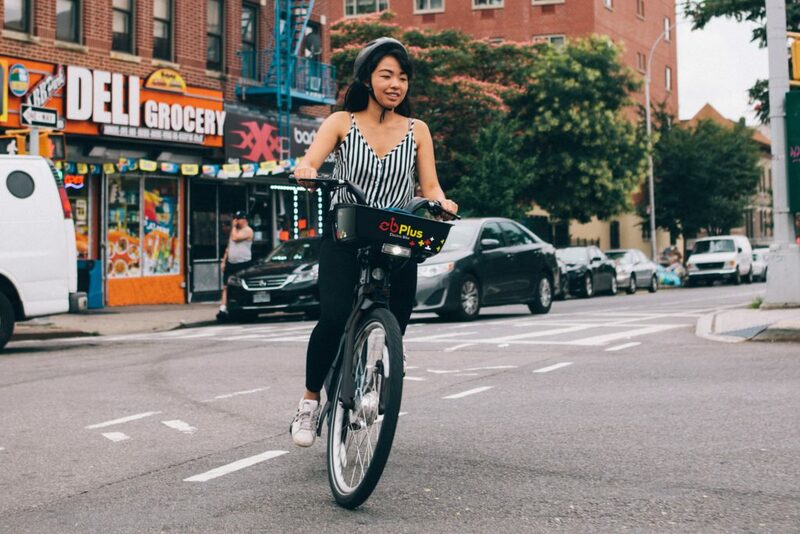 They are dockless – unlike Capital Bikeshare, which requires you to leave it at a designated station – but have locks that immobilize the bike until someone checks it out using the app. Spin costs $1 per half hour of riding, and can be parked “anywhere responsible,” according to its website. Millennials in Arlington appear most concerned about adding more transit options, removing on-street parking and finding new locations for public meetings, at least according to a county-run online forum. 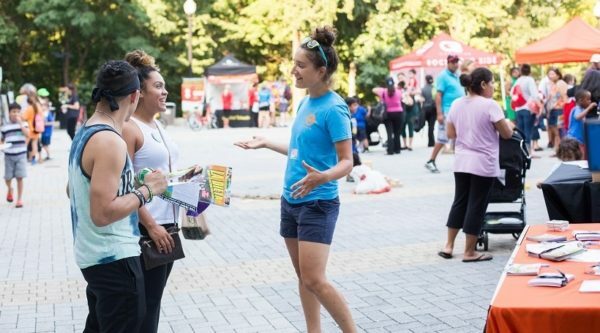 The findings come from the county’s Engage Arlington website, which launched a millennial-focused forum about county issues earlier this summer. The forum is part of a wider push by the county to get more millennials involved in local government and civic life. 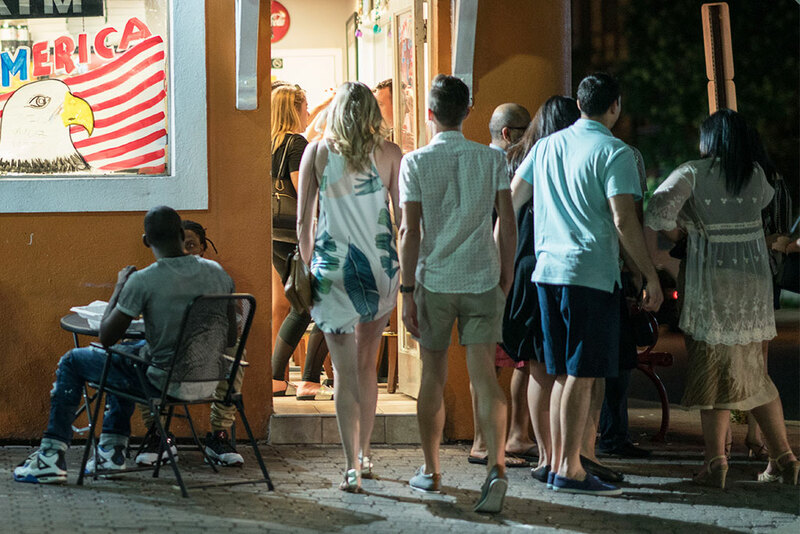 Arlington was named the best city for millennials in the U.S. by the website Niche, with the millennial generation making up between 30-40 percent of the county’s population of just over 220,000. 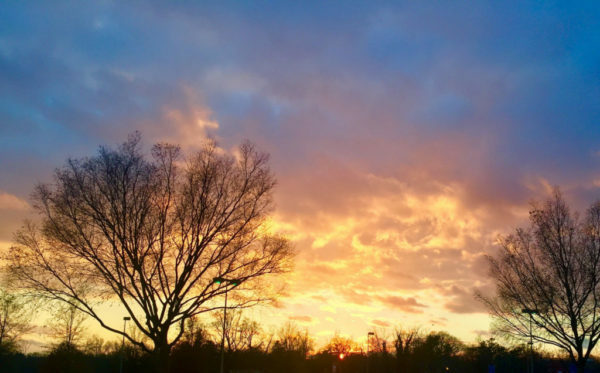 I’d love to embrace “Millennialism” and be car-free, but the inconsistency in transit options in parts of North Arlington is difficult — there is minimal bus service and a lack of bikeshare stations, even near Marymount University. Adding bikeshare locations along the northern portion of Glebe Road from Lee Highway up to Chain Bridge would be helpful in continuing to connect this area with other parts of the County! Just below that is a proposal to remove on-street parking, to encourage more walking and biking in neighborhoods. Along the major corridors we should remove subsidized on-street parking, to encourage walk-able and bike-able neighborhoods. Many of these on-street parking spots reduce visibility at cross walks and cause dooring and blocking situations for bike lanes, increasing danger and reducing foot traffic. Remove a few strategic parking spaces along the pike and Roslyn [sic] Ballston corridor and use that space to widen the sidewalks or add bike lanes. A request to “figure out how to bring reasonably priced housing to Arlington” was among those with six up-votes. A full list of suggestions and the number of likes they received, in parentheses, is below.